Douglas Dare‘s album, Whelm, has been pretty much played to death by me these last months. Certainly it doesn’t cover the jolliest of themes, as he readily recognises, but the music and lyricism is outstanding and grabbed me from the first notes. So the prospect of seeing him live and, as it turns out, his first headline show outside of London, couldn’t be missed. 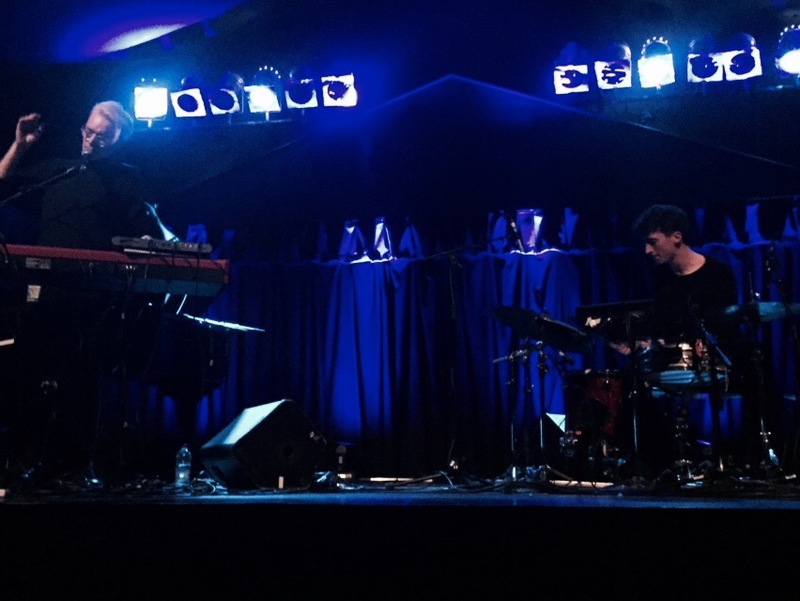 Dare, and his partner in crime Fabian Prynn, managed between them to produce a captivating and mesmerising set. A live performance is naturally always a different beast and, for me, last nights bettered the now much-loved recordings. Of course the vocals were spot on and crystalline, the keyboards pin-sharp and unfailingly romantic. But the revelation was Mr Prynn (no disrespect to Mr Dare!) – ye gads his work was fine stuff, the rhythmic complexities thrown into sharp relief, a contribution that is so much more subdued on the recording. 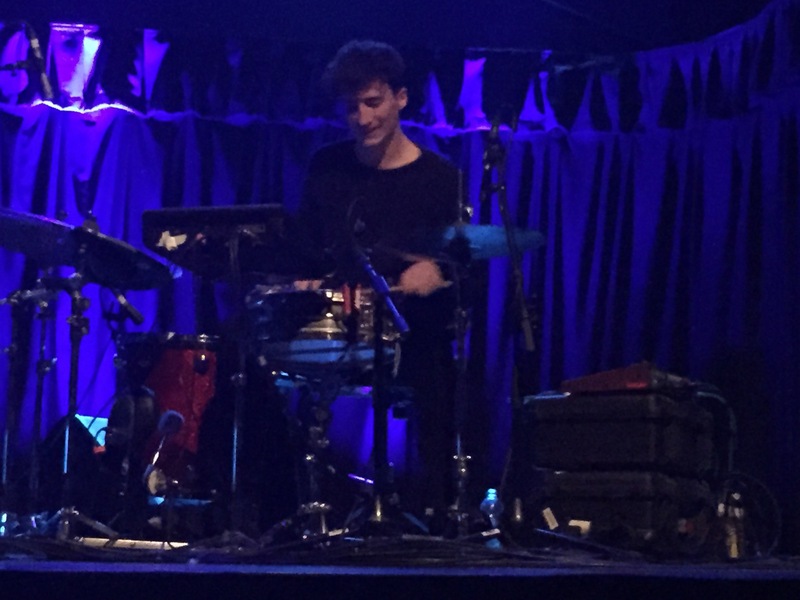 Prynn’s playing was at once delicate, subtle and a driving tour de force; hypnotic stuff. The set itself covering all the glorious tracks from the album, each made a bit more muscular in this setting. But we were also treated to three new songs, and we were seemingly the first people, other than the two on stage, to hear them (but I suspect he says that to all the boys!). The first was called New York, another as yet untitled but based around Oedipus Rex and the third, well I have no idea, I don’t think it was burdened with a titles. All were familiar but fresh, each showing the progression you might hope for. I guess they will be trying these and others out live before they commit them to wax, but at least there is an obvious promise of new material in the not-too-distant future. Dare himself was warm and engaging in a way that perhaps you might not expect from his aesthete, austere image (I am I too harsh here?). A bit of backchat with the crowd, a charming twang of anxiety, all endeared him to the Sunday evening crowd. As if that wasn’t enough, the evening was opened by another of the formidable Erased Tapes roster, Michael Price, whose new album Entanglement was released not so long ago. 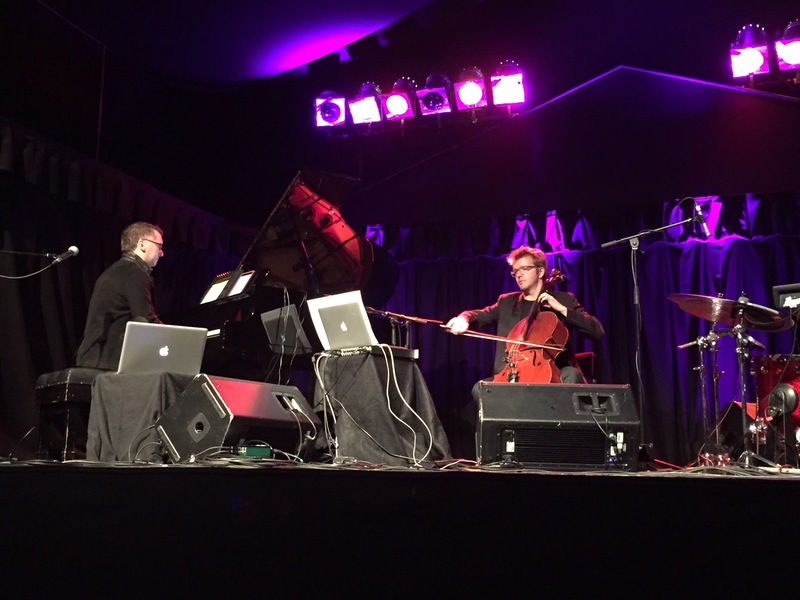 Another pair on stage, Price was joined by cellist Peter Gregson and together, plus a little technology ‘magic’ they gave us an intoxicating mix of tracks from the new album, his previous string quartet set and the Stillness EP also released via Erased Tapes. Sandwiched in there was the wonderful Vocal cello piece, written for Gregson by Max Richter. Boyishly rather self-effacing and a little timid, the pair were an extraordinary and slightly unexpected opener for Dare. Price’s music is at once modern and timeless, ocassionally reminiscent of the wonderful Górecki, accessible but demanding. Two pairs of men producing fine music, both in their own ways different and distinct but united in producing music of quality and purpose, with a finesse and attention to detail so sadly lacking in many-a quarter. Glorious and affirmative stuff. This entry was posted in Uncategorized and tagged Douglas Dare, Erased Tapes, Fabian Prynn, Max Richter, Michael Price, Peter Gregson. Bookmark the permalink.